England is home to four of The Open venues; Royal Lytham & St Annes, Royal Birkdale, Royal Liverpool and Royal St Georges. 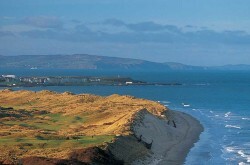 Wales’ most well known courses are Royal Porthcawl and Celtic Manor which hosted the 2010 Ryder Cup. 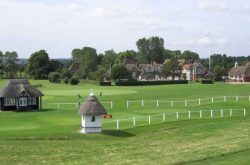 The fine range of golf courses and accommodation throughout England and Wales allows us to create truly memorable golf tours for our clients. 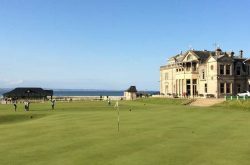 Our England & Wales Golf Tours are all fully customised however we have a selection of Sample Tours here should you require some some inspiration. 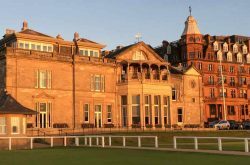 Please use this section to navigate through Links Golf St Andrews’ selection of the finest golf courses and accommodation options throughout England & Wales. There are many, many more great golf courses that our clients have enjoyed – perhaps the less widely known courses, the more hidden treasures. The properties chosen are those that our clients seem to especially enjoy but there are many more that we are pleased to recommend. Our team of Golf Travel Consultants will assist you to select courses to play and places to stay that will be just right for you. 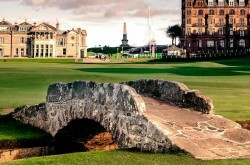 founded in 1889 and they have hosted everything that matters here, including the Open and the Ryder Cup. Some changes have been made since Arnold Palmer hit the wondrous recovery shot that helped him win the Open in 1961 and led to a plaque being erected to mark the spot from which the divot was taken. Well-bunkered, the sand hills run along the edges of the fairways and make ideal platforms from which to view the Open Championship. The Distance Index Map shows the locations of some of England and Wales’ greatest golf courses and gives an approximate distance in miles by road from London. For example, Royal St George’s is approximately 82 miles from London and Royal Lytham is approximately 249 miles from London.